Hi, my name is Suzanne and I am a "Loser Mom" and I'm ok with that. Actually, there are moments when I'm kinda proud of it. I actually have a trophy to prove my title. "What??? Are you nuts??? ", you ask. Nope...well, maybe a little...but, no, I'm just, real. A real person, a real mom who doesn't really get it right all of the time. A lot of times I do get it right, really right... but more times than not....I'm grasping at straws. Loser Mom started as a joke between myself and another mom. Our oldest boys went to preschool together and our second kiddos followed each other to the same preschool, as well. I must say, we did pretty well with our big boys but once the littles came along...Loser Mom became a real thing. Ours were the ones rolling around on the floor with their blankies, quite possibly shoeless. While the other mommies who worked so hard to put up that perfect facade looked on, my friend and I would just laugh. Hahaha...no shoes! Got all the way to school before we realized they didn't have shoes on! Haha!! "Loser Mom!" Oh, it's picture day??? Haha....he's still wearing his pajama shirt!! "Loser Mom!" Birthday party?? Picked up the present on the way there...forgot a card...thank goodness for the Sharpie in the car. Just write happy birthday on the outside of the bag! "Loser Mom!" See...Loser Mom is not really a loser...she's just a really real mom. A mom who has learned that not everything is going to be perfect and she's ok with that. She's a mom who has learned to laugh at the silly things that really do not matter in the long run. Her children are happy, healthy and loved and that is what really matters! And, thanks to her Loser Mom status...chances are they will become extremely resourceful adults one day. So, that's why I'm proud of my title. I don't want to put up a facade. 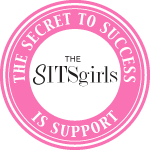 I want other moms to see that we are in the trenches together. We are all going to forget to sign papers, eat cereal for dinner and forget it's "wear blue" day. And, that it's ok!!! One of my favorite memories of my own mom when I was a kid is a birthday cake she made for me and my sister. Our birthdays are only two days apart and we shared a birthday cake many years. Well, one year she made a cake for us to take to church that night to celebrate with our friends. It was delicious!! Chocolate with chocolate frosting and she even decorated it herself. Complete with...."Happy Birtday" That is not a typo...she wrote "Happy Birtday" on the cake. We still laugh about it today and wish each other "Happy Birtday" on our birtdays ;) Is it odd that one of my most vivid and happiest memories of my mom when I was young is a moment that some moms would be mortified over?? No...because my mom knew how to laugh it off. She knew that this wasn't the defining moment of her motherhood legacy. Ironically, though, to me...it came pretty close. Moments like those taught me to not take everything so seriously. Enjoy each silly mishap. One day, your kid is going to grow up and have littles of their own. Do we want to see them stressed over their parental performance or do we want to see them enjoying every step of the journey...including the shoeless kids rolling around in the floor and happy birtdays. 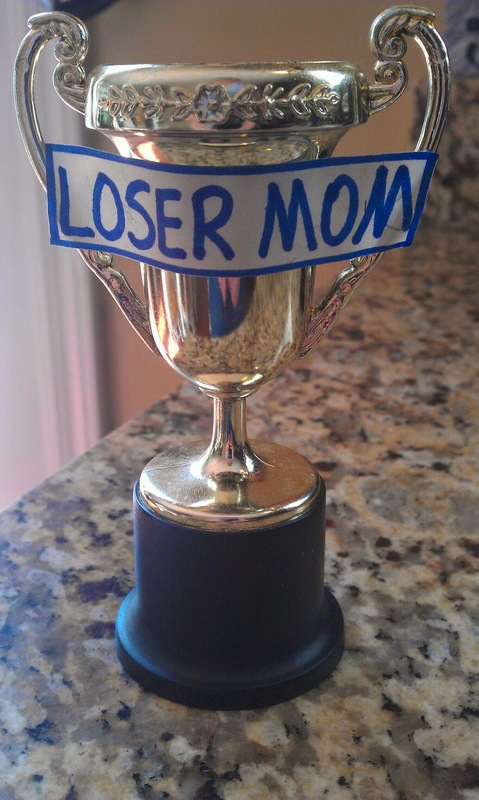 My friend and I joked about Loser Mom so much, a trophy was created and passed back and forth depending on the latest Loser Mom scenario. Not sure what I did to become the reigning Loser Mom but I hope it was something super ridiculous and that my boys and I just laughed and laughed. :) This made me smile, thanks. My old job had a trophy that was the back end of a horse, it got passed around if you made a huge mistake... until the boss decided it was demoralizing or something. *shrug* I think the 'loser mom' might be a fun thing to pass around too. I think of those moments as my 'mommy fail' moments. And I have plenty of them too... we are real moms. Again, thanks for sharing! Thanks so much! I'm so glad you enjoyed the post :) A horse's rear! haha - I love it ;) I would have been the first one to receive it I'm sure! I've recently launched a viral contest which is very popular, because part of the prize money will go to a charity selected by the winner. You can benefit from the viral effect of this contest by becoming a partner and thereby increase the traffic to your blog. The prize money is sponsored by us, so this won't cost you anything - it is a win-win partnership. If you have any questions about it, please let me know. Halloween Tricks and Treats - Kid-Friendly Witchy Finger Cookies!!! Do I Smell Like A Man??? Bobee Wall Decal Review and Giveaway!!! 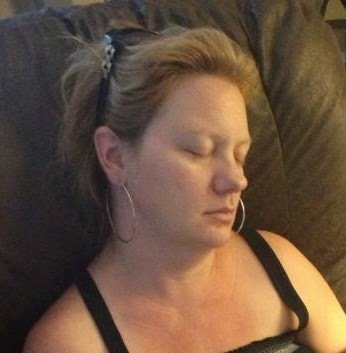 The ultimate Mommy Fix....a nap!!! What you can't see is that I am five months preggo with my 3rd child and holding my sleeping 7 mos old nephew. Take it how you can get it! Visit Mommy Fix's profile on Pinterest. Simple theme. Theme images by GelatoPlus. Powered by Blogger.